One of my go to meals for our family is tacos. We love all types of tacos, which means we also love tortillas. We especially love flour tortillas. Now I'll admit I purchase my flour tortillas. I did learn how to make homemade tortillas, but that wasn't a super successful experience. Perhaps in a few years I will have figured it out. Until then, I'll stick with store bought. When I serve flour tortillas, I like to serve them nice a hot but I don't really want to fry them or just stick them in the plastic bag in the microwave. That's why I wanted to share with you this DIY tortilla warmer pattern. I've been wanting to make a tortilla warmer for years. Growing up my mother had this great tortilla warmer that worked so well, but I don't like how much room it takes up in the kitchen. 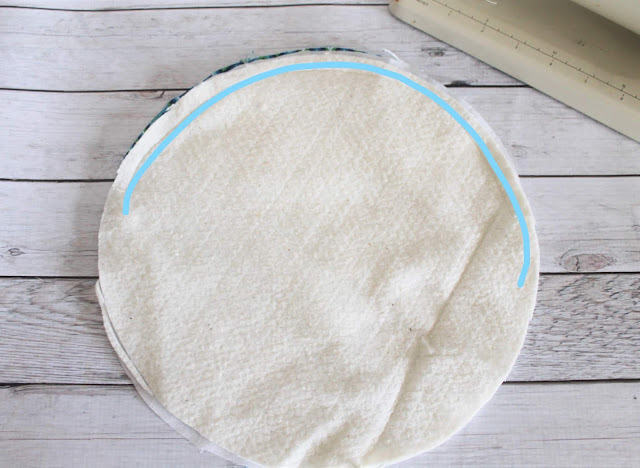 After some research and the success of our Microwave Potato Bag pattern, I decided creating a simple diy tortilla warmer would be a lot simpler and handy than buying one. I was totally correct! Not only is this tortilla warmer great for heating up flour tortillas but it is also also answers the questions of how to keep tortillas warm during dinner. Simply stick 5-6 tortillas in the warmer, pop them into the microwave for 30-45 seconds and remove them. The tortillas will stay nice and warm and the DIY tortilla warmer will absorb the excess moisture so you don't have soggy tortillas. ONLY use 100% cotton fabric, thread and batting otherwise you will melt or burn your fabric in the microwave. Wash your 100% cotton materials before sewing. This way they won't shrink when it comes time to wash your tortilla warmer. Cut out 11" circles in your main fabric, lining fabric and batting. I used the Fiskars Circle Cutter to cut my circles out super fast. You'll need 2 circles in main fabric, lining fabric and batting. Place the main fabric face up on a surface. Add the lining face down and the batting on the top. Stitch from the center edge of the circle around to the opposite side like the photo above. Clip around the circle where you stitched. This will help your circle to keep it's shape. Turn your circle right side out and press. You should have one side that is stitched and one side that shows the raw edges. Repeat steps 2-4 with other set of circles. Place the right sides of both main fabric pieces together. Stitch them together from one side to the other. Leaving the finished edges open. Turn your diy tortilla warmer right side out and press well. Wahoo!! You did it!! Now you can easily warm up all those yummy tortillas and keep them warm during your meal. 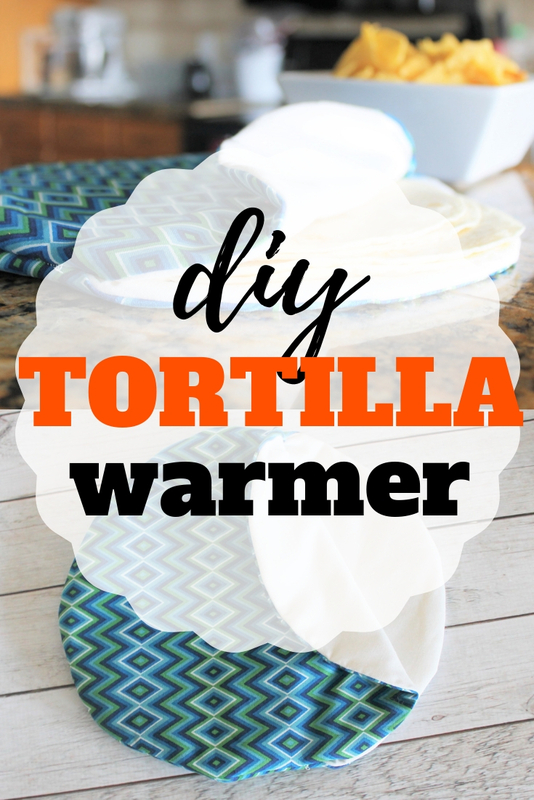 Plus, you can launder your DIY tortilla warmer by throwing it into the washing machine. Just make sure to line dry it so it doesn't shrink. GYCT is not responsible for issues that may arise from using your own Tortilla warmer. Please make sure that ALL materials are made with 100% cotton including fabric, thread, and batting. Do not use warmer for more then 4 minute intervals to avoid scorching of any kind. You are at your own risk when creating and using. Do not leave unattended when in use.